Trick or Treat is forever growing in Australia. America is famously the country that takes it the most seriously, but these days Australia gives the US a run for its money. Once again this Halloween, Melbourne will see hordes of costume-clad packed trick or treaters excitedly knocking on doors ready to spook the hell out of the brave souls that answer. This is such a great community activity. Organizing a trick or treat party in your street gives you a great opportunity to meet (or spend time with) all your neighbours. Unless you’re a particularly close-knit community, you probably don’t know all your neighbours. But who says you have to know them to have fun with them? Halloween costume makes for a fantastic opportunity to break the ice. Go and knock on a few doors in your local street. You’re likely to find that anyone who has kids will jump at the chance to join in the fun. Also, make a guest list of anyone else in the local area you plan to invite, and once you have an idea of how many participants you’ll have, you can start to arrange the finer details. 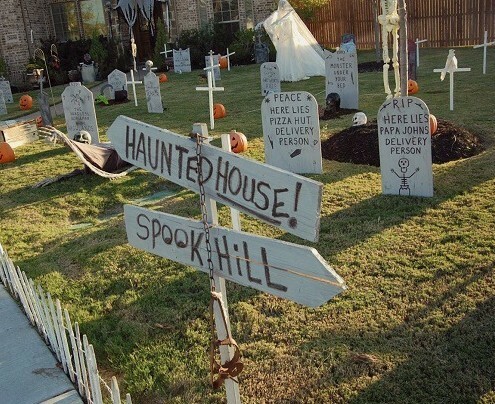 Decide on a few local streets to terrorize, and plan your party for the time school finishes on Hallows Eve. Between 4.30pm and 5.00pm is a good time to start. Next, send out your invites and drop them through your neighbours’ doors. There will always be a few people that consider Halloween to be a nuisance, so it’s a nice idea to drop notes through the doors of those you aren’t inviting to participate; let them know that they’re going to be preyed upon during a certain time period and that if they’re happy to be victims, they should put out pumpkins, stick up some decorations or float a couple of balloons outside their house. Likewise, those who have agreed to participate in the event should indicate so for the trick or treat crew by the same means. This one is probably obvious, but don’t get so caught up in the planning that you forget to stock up on candy. Kids will take any chance they get to grab as many sweets as their little fists can hang on to, and as it’s very difficult to say no to those adorable little skeletons, better safe than sorry on the supply front. Wrapped or packet sweets are best – far less mess! 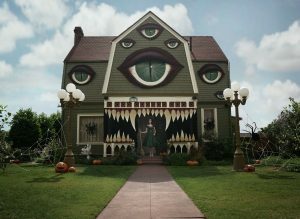 Decorate your house Halloween-style. No spooky building would be complete without spider webs hanging from porches and gutters, and a few skeleton bones in the yard or garden should add to the vibe. Black and orange balloons near the mailbox and front door also work well. As much as those who trick or treat want to scare the residents, they should be made aware that the joke may be on them – this is no one-sided game! A Halloweenish ‘Beware’ sign should do the trick. Costumes are the best part! There could be no Halloween without costume – It wouldn’t be right, and it certainly wouldn’t be scary! Costumes are not just for kids either… adults love a good Halloween costume! If you’re the organizer, you’ve set the bar. Your costume needs to be top notch! 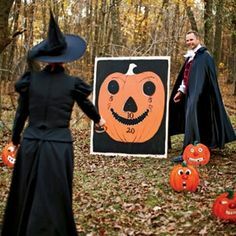 Whoever has agreed to participate in your street might like to greet trick or treaters in costume themselves. Perhaps it’s something that you could suggest on your invitation. Will you be the Bride of Frankenstein? Maybe Beetlejuice or Lydia are more appealing. Halloween wouldn’t be Halloween without a few scary Draculas knocking about. Similarly, Egyptian mummies, fallen angels and Freddy Kreugers tend to bring on a cold sweat. The local kids will love you for this one. 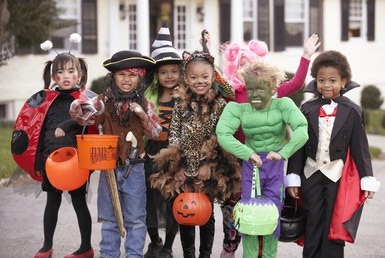 Finishing off the trick or treat walk with a party at your home will also cement your neighbourly relationships. 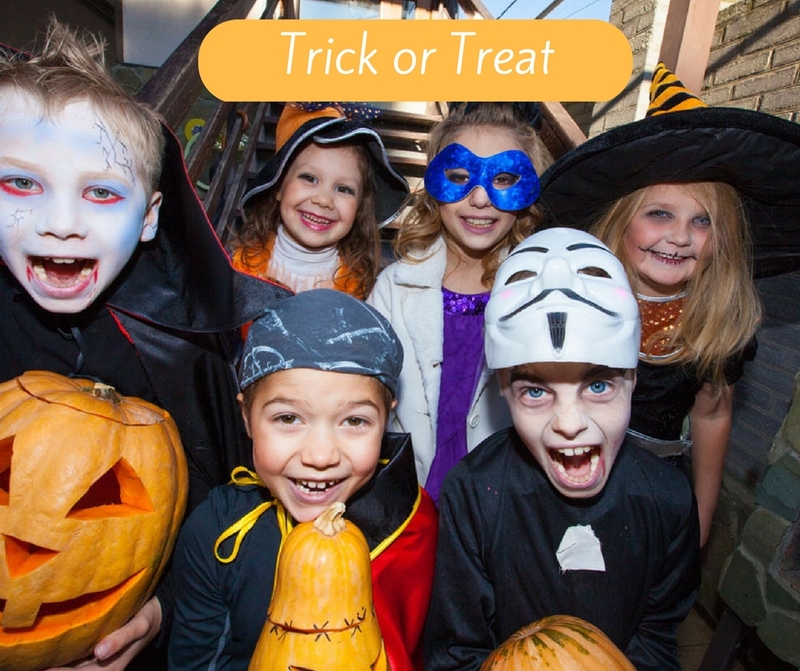 If you’ve got the space for it, invite the trick or treaters and their friends – plus your new neighbours’ friends – and finish off celebrating Halloween in style with a few festivities. 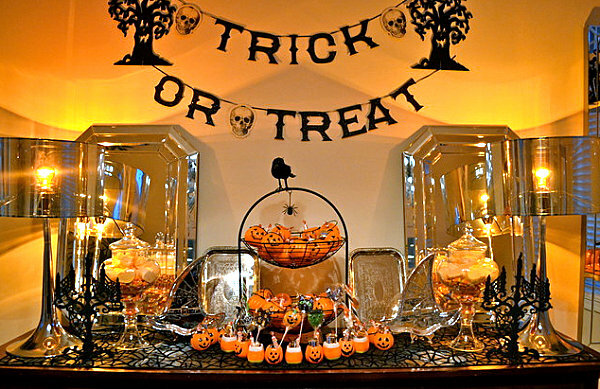 Get some Halloween themed party food in (e.g. witches’ fingers, people in blankets) and some spooky drinks, like snake venom or Vampire blood. 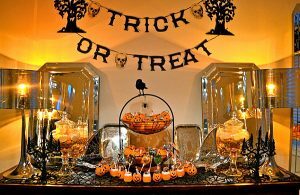 Organise some fun Halloween party games to entertain the kids: apple bobbing is great fun, as would be a mummy-wrapping competition. A game of witches’ broomstick limbo will have everyone bending over backwards to be a winner. No doubt the kids’ blood sugar levels will be through the roof after the walk, so help the parents by giving the kids a way to burn it all off! 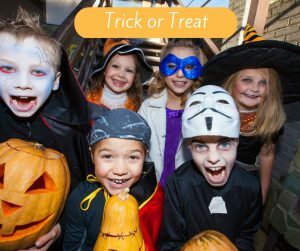 Not everyone has the time or inclination to organize a big event, so if not, simply Google ‘trick or treat in… (your area)’ and see what comes up. No doubt a nearby street will be onto it, but if you’re struggling, don’t forget that local councils like Casey, Berwick and St Kilda organise heaps of Halloween activities too. That’s it – no gravestone has been left unturned… and there’s no excuse not to celebrate Halloween in Melbourne this year!